Haverhill, Mass. 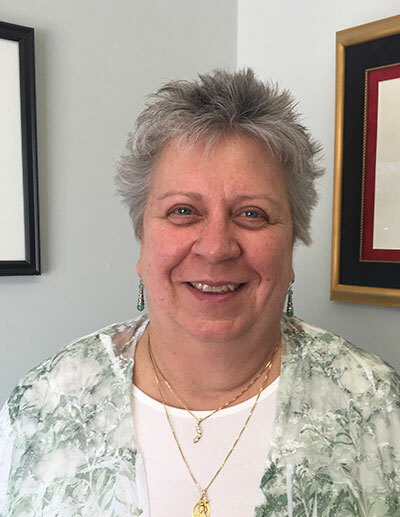 – April 1, 2019 – Penacook Place, a member of Covenant Health, is pleased to announce Judy Riopelle has joined the team as its very first Director of Mission Integration. Penacook Place has served families in Greater Haverhill for over 40 years as a 160-bed skilled nursing facility providing short-term rehabilitation as well as long-term nursing and specialty memory care. Penacook recently became a member of Covenant Health, a Catholic regional health care system and a leader in values-based, not-for-profit health and elder care. This offered a special opportunity to commit to a faith-driven mission to care for the whole person – mind, body and spirit. As part of that commitment, Penacook is adding a mission director to the management team and is building a chapel in its facility. Most recently, Riopelle served as Director of Faith Formation for St. Francis of Assisi Parish in Dracut, Mass. She earned her Master of Arts in Ministry from St. John’s Seminary in Brighton, Mass. and a bachelor’s degree in nursing from Salem State College in Salem, Mass. In addition, Judy is a Certified Spiritual Director and Certified Pastoral Associate. She resides in Methuen. Penacook Place also welcomes Alison Campbell, Admission Director, and Deborah Eastman, Memory Care Unit Program Director, to the team. Penacook Place, a member of Covenant Health, is a 160-bed skilled nursing facility in Haverhill, Mass., which is a short drive from Boston and southern New Hampshire. The center is fully committed to the health and well-being of the whole person and offers short-term rehabilitation, long-term nursing care and memory care as well as private and semi-private rooms. Our skilled team focuses on personalized, compassionate care for our residents, patients and their families. To learn more about us, please visit our Facebook page or call 978.374.0707.